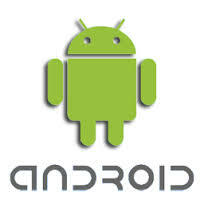 Android is the operating system that powers more than one billion smartphones and tablets. As the Android devices make our life so sweet, each Android version named after a dessert. Whether it’s getting directions or even slicing virtual fruit, each Android release makes something new possible. In this brief story, we are sharing about Android versions and dates when they launched. Android Early Days – Even before the Android Alpha there were few non-commercial versions of Android in works. Besides, these versions were known as 0.5 Android Milestone 3 & 0.5 Android Milestone 5. Also, these early models replicated blackberry and are blackberry clones. 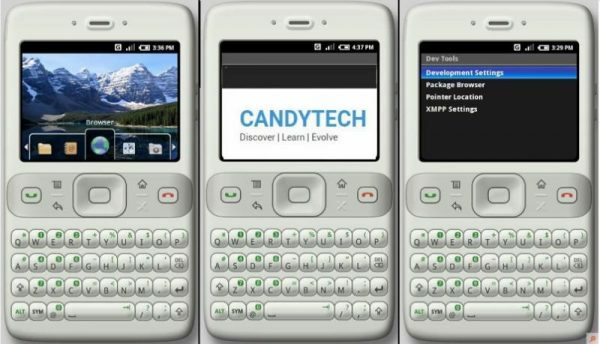 The phones running these Android versions were not touchscreen but had support for Qwerty keyboards like the classic blackberry. Meanwhile, the first generation iPhone was unveiled on Jan 9, 2007, by Steve Jobs, which went on sale in the United States on June 29, 2007. The first Android version was known as Android Alpha and was released internally by Google somewhere in the year 2007. Notably, the first commercial version, Android 1.0, was released in September 2008. Android 1.0 – Interestingly, the first commercially available Android device was the HTC Dream running on Android 1. 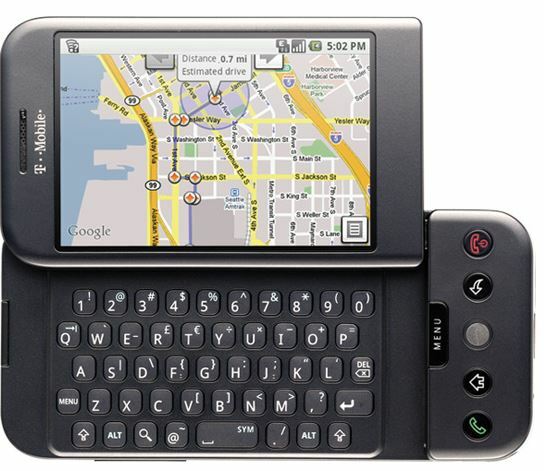 The Android era officially began on October 22nd, 2008, when the T-Mobile G1 (HTC Dream) came to the United States. The other features which were available in the Android 1.0 were Youtube, Google contacts, Google calendar, Google sync, Google browser & Google search and Google talk. It was revolutionary at the time of release. The first upgrade to the Android platform came on 9th February 2009 and was released only for the HTC Dream initially. Also, it was an over the air update and was a big thing at the time for newly launched Android to roll out updates OTA. Ability to save attachments in messages. Details and reviews available when a user searches for businesses on Maps. 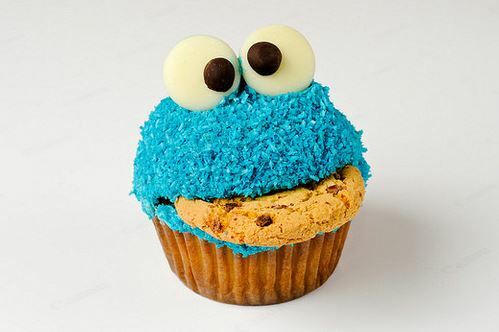 Further, Google released the new Android Version Cupcake after two months of rolling out the Android 1.1. The Cupcake was out on April 27, 2009. The new OS brought many new features and upgrades to the native Android 1.1. Support for the third-party keyboards with text prediction and user dictionary. Auto-rotation option allowed the screen to rotate using sensors. Copy and paste features in web browser an essential feature. Ability to upload videos to Youtube and photos to Picasa. People started adopting to Android in this era, and more App developers started associating with Android. After another 4 months, Android came up with a new version of Android the 1.6 – Donut. The Donut was available on September 15, 2009. Gallery & Camera were fully integrated, with faster access to the camera. Overall speed improvement in loading apps and searching content. The Android version Donut supported 768*480 max resolution. It was also the beginning step for gesture control and voice search in Android. The Android team was excited about the early success of Android Donut and took no time to deliver the next Android version just after a month of release of Donut. Android Ver. 2.0 Eclair was available on 26th October 2009. It brought some delightful features to already growing Android community. Microsoft Email Exchange support and Bluetooth 2.1 were highlights. Ability to touch a contact photo, and call, sms or email the person. Refreshed Browser UI and support for HTML5. Speed improvements for UI and app opening. More Improvement to Google maps. Android Version 2.1 Eclair was out on 12 January 2010 and plugged the bugs which were there in the Version 2.0. The next version Froyo for Android was out on May 20, 2010.The new version of Android brought many new goodies for the Android Followers with Froyo update. Support for Flash in the browser. USB tethering and Wifi- hotspot functionality. Speed, memory, and app performance optimizations. Option to disable data access over mobile network. The next version of Android was Gingerbread, and it came 7 months after the Froyo came. The Android Gingerbread was out on December 6, 2010.Gingerbread was a vastly stable and used version of Android, and some of the most sold phones globally like Samsung Galaxy S2 came with Gingerbread later versions. It was the basis of modern-day OS like Android KitKat and offered excellent user experience with simplicity and speed. Support for large screen sized and resolutions WXGA. Better text suggestions and faster UI. Improved usability by allowing users to select a word by press-hold, copy, and paste. Support for NFC (Near Field Communication. Improved power management by Android system and support for graphics intensive games. Honeycomb was different than all previous versions of Androids. Notably, it was for Tablets only. On February 22, 2011, the Android 3.0 (Honeycomb) came and the first device that got this update was Motorola Xoom tablet. It added holographic floating icons to the user interface of Tablets. Addition of action and navigation bar to make the process easy to find files and folders. Re-designed keyboard for making it easy to take advantage of the larger screen. Ability to view albums and other collections in full-screen mode in Gallery. Improved Camera functions like quick access, Zoom, front-facing camera and quick shots. In totality, it made the Android user experience better and much more advanced than the previous Android versions. There were many more versions of Android Honeycomb released in next 1 year which dealt with bug fixes and more improvements in the Android System. The last version was 3.2.6 which was released in February 2012 and offered data connectivity bug fixes. The first Android Ice cream sandwich version was released on October 19, 2011, and was compatible with most of the devices which were running Android Gingerbread. It first came with the Samsung Galaxy Nexus. Also, the soft buttons for navigation on touchscreen were available on the screen now. Key Features and Highlights for Android Ice cream Sandwich. The creation and use of folders became very easy by just dragging and dropping icons on top of each other. App access from home screen without going into the App Drawer. Use of facial recognition technology for unlocking the device. More data options in settings for setting alerts and data usage limits. To close application with swipe function. New people and contacts with the integration of social media site contacts like Facebook and Google Plus. Full HD video recording support for Android devices. 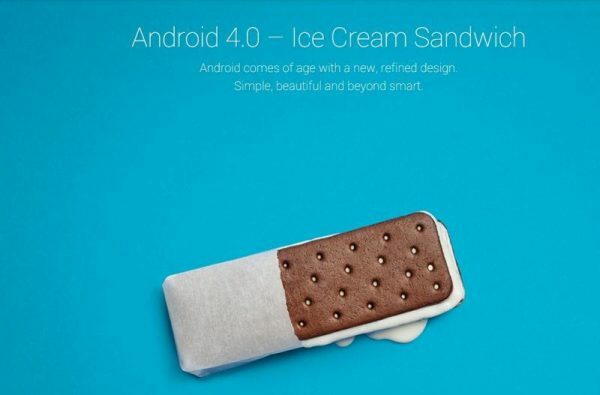 The last version of the Android Ice cream sandwich was Android 4.0.4 which was released by Google on March 29, 2012, with stability improvements, better camera app, and phone number recognition. The Jelly Bean was part of the Android project caller butter smooth which intended to make the OS superfluid. The Android Jelly bean was announced at the Google annual Conference Google I/O on June 27, 2012. The first device to get it was the Nexus 7 2012 tablet on July 13, 2012. The Android Jellybean was faster and smoother than its predecessors. It utilized triple buffering and touch anticipation to make it intuitive. Expandable notification panel for easy, quick navigation. Android Beam Bluetooth data transfer. Dock sound support for external devices using USB. Improved Camera Application, better autofocus and quick shots. After the 4.1, Jelly Bean had two more versions 4.1.1 and 4.1.2 which released in October 2012. Jelly Bean 4.2 was released on 13, November 2012 and offered features like daydreaming and swipe to open up the Camera App. New Clock design and timer, Group messaging, and improved speed. The last Jelly Bean Version was released on July 24, 2013, and was referred as even “Sweeter Jelly Bean “ by Google. OpenGL ES 3.0 support, allowing for improved game graphic. The improvement in the photosphere. There were bug fixes, and performance improvements with Jellybean 4.3 and Android became one of the most influential OS in the world. It came along with iconic Google Nexus 5 on 31st October 2013. Furthermore, the KitKat was lightweight and can run on older mobiles with only 512 MB Ram. What was new in Android KitKat ? Refreshed User interface with changed color schemes and Icons. Translucent status and navigation bars. Faster smoother UI with excellent contacts and Hangouts as SMS APP. ART runtime an upgrade from the Dalvick. Chrome and deeper Gmail integration. New transitions and effects for Apps. There were more updates for KitKat with 4.4.1 getting released on 5th December 2013. It brought relief for Nexus 5 buyers with bug fixes, especially for the camera application. Then further updates came in June 2014 to fix the security issues and some minor updates, like dialer app UI. Android KitKat made the Android experience refined and is the second OS other than Apple which offered excellent consumer experience and that too with a variety of low as well as high priced hardware. The last Android OS is Android Lollipop 5.0 which came with Google Nexus 6 and Google Nexus 9 tablet. The OTA update started rolling out on Google devices like Nexus 4 and 5 and other Google Play edition smartphones on November 12, 2014. There were many rumors on the name Lollipop as Google called the version as Android L in the Google I/O held in June 2014. Now Google has just released the latest version of the Android Lollipop Version 5.1 which is rolled out, in the end, March 2015 to the Google Nexus 6 and Google Nexus 5, Google Nexus 9. The New Android Lollipop 5.1 brings in some of the necessary bug fixes and performance improvements to the Nexus devices the newer update will be available on other devices in the coming months. Key Highlights: Android Lollipop brought material design to Android Experience. Material Design which appears layered and 3 Dimensional and let layers slide on top of each other. The Android Lollipop update by default supports Android Runtime. Support for 64 Bit Processors. New Design, User Interface, Fluid and smooth, a refreshed look from Android KitKat. Refreshed Lock screen with Notifications appearing on the lock screen. There is project Volta to improve the battery life of Android Smartphones. Refreshed notification tray and quick settings pull-down. Uninterrupted work with minimized call notifications. The user-defined priority for calls and other activities. The Android Lollipop has already got 2 updates Android 5.0.1 on December 2, 2014, which sorted out issues on video playback and password failure handling. The last update came on December 09, 2014 with bug fixes and alarm wake up call and prioritization of system resources. The Android Marshmallow came in October 2015 and the first smartphone to run the OS version was Nexus 5X and the Nexus 6P. Google CEO Sundar Pichai showcased it back in May 2015. However, it came out in October 2015. It came with support for the Fingerprint scanner and Android Pay. NFC (Near field communication) and USB Type C Port support. Enhanced Battery life using advanced Doze Mode. More easy to access App permissions and more control. Omni Channel user experience whether on Apps or Browser. Android Nougat 7.0 was out on 22 August 2016 and the second iteration Nougat 7.1 came on October 4, 2016. The first smartphones to run the Android Nougat were the Google Pixel and Pixel XL devices which are also the first “Made by Google” Phones. Enhanced User Interface with better Notifications. Support for Instant Apps – You can try an App in play store without downloading it. It offers enhanced power saving features in the Android Nougat with “Doze on the Go” support. Vulkan API support for enhanced gaming and graphics experience. Suppport for Daydream VR – Enhanced level of Virtual Reality support. Better Multi-tasking with Multi-Window support. Lower system requirements and a more fluid OS experience. The Android Oreo 8.0 was first available for developers in March 2017 for the Google devices, and later on 21 August 2017 Google finally shared the Beta build for the Android Oreo and also revealed the name of earlier called Android O as “Oreo”. Battery improvements by limiting more background processes, location updates, broadcasts. Notifications control – a more robust control over apps to send notifications to use at a granular level. Better Sound on Bluetooth – Google has implemented the Sony’s LDAC sound technology, which allows high-resolution sound transmission. The picture in Picture Mode – Enhanced productivity and multitasking. Easy Autofill Support – Data is auto-populated in forms and Apps. Navigation Bar additional buttons – You can add more than 3 default buttons on the navigation bar. 2X Faster Boot time compared to older OS – tested on Google pixel phones. What an awesome presentation of android history. Really nice and interactive. That’s why i like your posts. 🙂 Thanks Deepak glad to have you as a reader at Candytech! Hi You are welcome hope you enjoyed it.